Old World made in Your kitchen. 30 minutes to Rise! 3 minutes to Bake! Old world made in your kitchen. 30 minutes to Rise! 30 minutes to Bake! Ready to Eat! 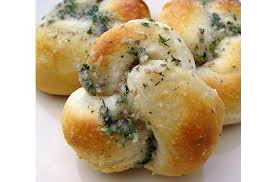 Our Garlic Knots Artisan (No Knead) Bread Mix, is a great addition to any meal, especially your favorite Italian dish. Quick, easy, and fun to make! Get everyone involved in tying the knots. DIRECTIONS: COMBINE YEAST PACKET WITH 1 CUP WARM WATER (105-115 DEGREES) IN A LARGE BOWL AND STIR. LET SIT FOR ONE MINUTE. ADD BREAD PACKAGE (#109) TO YEAST WATER. STIR WITH A SPOON UNTIL A BALL FORMS. ADD 1 TABLESPOON MORE OF WARM WATER AND STIR. ADD 2 TEASPOONS OF OIL TO BOWL AND ROLL THE BALL OF DOUGH UNTIL IT IS COVERED IN OIL. COVER BOWL WITH A DAMP TOWEL AND LET REST FOR 45 MINUTES IN A WARM PLACE. CUT DOUGH INTO FOURTHS. FLATTEN THE PIECES INDIVIDUALLY INTO A ROUGH RECTANGLE APPROXIMATELY 5 INCHES LONG AND 1/2 INCH THICK. CUT INTO 1x5-INCH STRIPS. CUT STRIPS IN HALF AND ROLL INTO SNAKE UNTIL THE SNAKE IS 5 INCHES LONG. TIE A KNOT. SET KNOT ONTO GREASED COOKIE SHEET AND LET SET FOR 30 MINUTES IN WARM PLACE. BAKE IN PREHEATED OVEN AT 400 DEGREES FOR 12-15 MINUTES. WHILE KNOTS ARE BAKING MELT 5 TBSP BUTTER IN SAUCE PAN AND ADD GARLIC PACKET (AL). COOK FOR 1/2 MINUTE WHILE STIRRING WITH A SPOON. ADD PACKET (PB) AND TURN OFF HEAT WHILE STIRRING. WHEN KNOTS ARE DONE, TAKE OUT OF OVEN AND LET COOL FOR 2-5 MINUTES. USING A SPOON, PAINT THE KNOTS WITH THE BUTTER MIXTURE. YEAST PACKET: ACTIVE YEAST, ASCORBIC ACID. 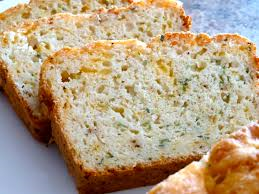 This is a great Italian herb flavored bread mix! 30 minutes to Rise! 30 minutes to Bake! Ready to Eat! 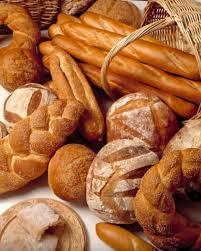 Try with one of our bread dipping mixes to make for a fantastic appetizer. *YOU CAN ALSO USE A 8-INCH OR LARGER CAST IRON SKILLET, 8-INCH OR LARGER PIE/CAKE PAN; AS LONG AS THEY ARE OVEN PROOF. INGREDIENTS: UNBLEACHED WHEAT FLOUR (WHEAT FLOUR, MALTED BARLEY FLOUR, NIACIN, IRON, THIAMIN MONONITRATE, RIBOFLAVIN, FOLIC ACID), SUGAR, BASIL, THYME, ROSEMARY, OREGANO, AND SALT. 30 minutes to Rise! 30 minutes to Bake! Ready to Eat! 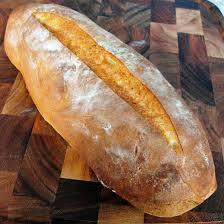 Yes, it is that simple for this amazing bread with the perfect amount of parmesan cheese flavor. Serve with our bread dipping sauce to complete any entree. INGREDIENTS: Unbleached wheat flour (wheat flour, malted barley flour, niacin, iron, thiamin mononitrate, riboflavin, folic acid), parmesan/romano cheese (made from cultured pasteurized part skim and whole milk, salt, and enzymes. Micro crystalline cellulose used for anti-caking), sugar and salt. Old world made in your kitchen. 30 minutes to Rise! 30 minutes to Bake! Ready to Eat! 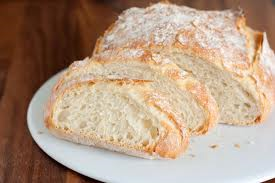 This is a great classic bread mix! INGREDIENTS: UNBLEACHED WHEAT FLOUR (WHEAT FLOUR, MALTED BARLEY FLOUR, NIACIN, IRON, THIAMIN MONONITRATE, RIBOFLAVIN, FOLIC ACID), SUGAR AND SALT.